The skill of communication and effectively resolving conflicts – in marriage, business, or any relationship – is paramount to successful living. From the beginning, communication has been presented as THE component in healthy relationships. God first communicated to us – condescending and transcending Himself into our world – illustrating the critical nature of communication. He did so both generally and specifically, that we might know Him and be known by Him. This is also the goal of every relationship we have – in varying degrees – especially in marriage. 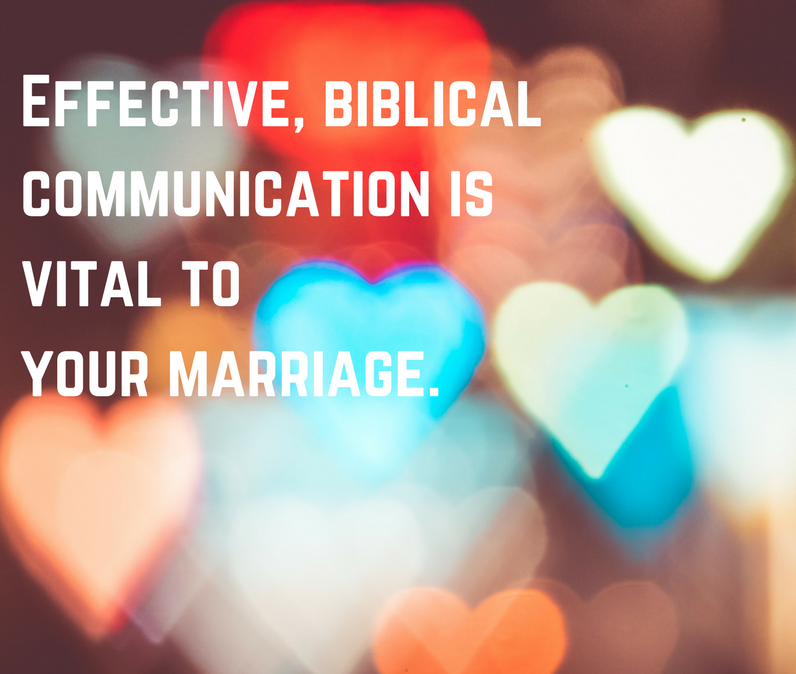 In the Apostle Paul’s letter to the church at Ephesus, he gives us an outline for effective communication. It is important to realize that communication skills can be learned if one desires them. These skills are to be cultivated, practiced, and exercised. Interestingly enough, God has instituted marriage for precisely this reason, that we might develop holiness. Walking through Ephesians 4:17-32, we can see how God expects us to treat one another and communicate effectively. By taking responsibility for ourselves and replacing old habits with new, we effectively transform our lives into the ones originally designed for us. Being honest, speaking truth in love, resolving conflict quickly, focusing on solutions, and being proactive is not necessarily easy. But it is worth every effort we make. Why? Because (a) it draws us closer to each other and (b) makes us more like Jesus.